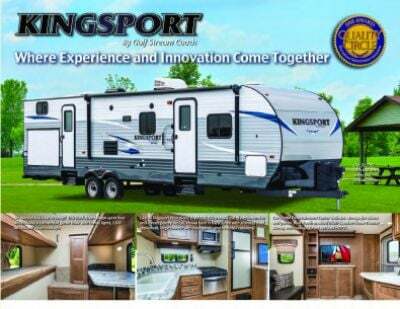 Write new family stories with the 2019 Gulf Stream Kingsport 275FBG! Find this Travel Trailer and other top quality RVs at RV World MI! With our low prices and high RV expertise, we're one of the best RV dealerships in Michigan! Stop by our lot at 7834 S Division Grand Rapids Michigan 49548 to take this model home, or talk to one of our RV experts at 616-591-3632 for more information! After an exciting day of outdoor fun, you need a good night's sleep to recharge your batteries! 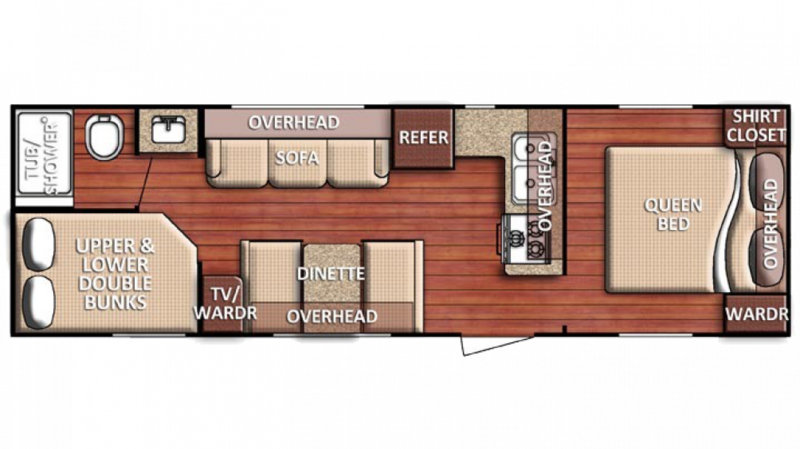 Thankfully, the 2019 Gulf Stream Kingsport 275FBG sleeps up to 10 people! Part of these accommodations includes this great bedroom with the Queen bed, where you can drift off to sleep in comfort and privacy! Instead of settling for fast food everyday, cook up you favorite dishes with the kitchen's 3 burner range cooktop! Keep your fresh food fresh with the 6.00 cu. ft. refrigerator! With the 51 gallon fresh water tank, you can enjoy clean water throughout the entirety of your trip! The communal bathroom is often cramped, damp, and disgusting! Enjoy the privacy and convenience of your own personal shower and Foot Flush toilet! With 40 lbs. of LP tank capacity, you can enjoy hot water even after your family members take long showers! The 37 gallon gray water tank and the 37 gallon black water tank store all the used water and waste discreetly, so you don't have to look at or smell it! You'll find 3 beds inside this cozy camper, thanks in part to the bunkhouse! Your guests and family will love the comfort of the Bunkbeds!